The Tile Warehouse is a small, family run business based in the beautiful town of Maldon in Essex. Established in 1989 by the Curtis family, The Tile Warehouse has built a reputation for quality and customer service throughout East Anglia. As well as all of this, The Tile Warehouse are also proud to offer their customers a ‘home selection service.’ This comprehensive service combines a full consultation with one of our tile specialists to fully understand your requirements before a home visit is arranged where your consultant will bring a wide range of samples for you to see in situ. Why not visit our large showroom packed full of inspiration, we have everything you will need to transform your home. We even offer FREE surveys and quotations, so pop down and see us today! 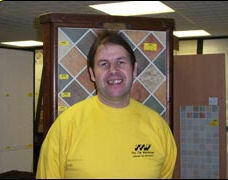 Glyn Curtis is the managing director of The Tile Warehouse, he established the busines in 1988. 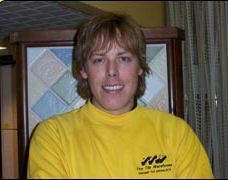 Glyn is a real family man, he loves his three children; Sarah, (who is a teacher) Nikki (who just wants to shop!) and James, who wants to play football for one of Glyn’s other loves, West Ham United FC! Al White is the showroom manager, his role is to make sure that everything runs smoothly and to advise customers on the best choice of tile for their needs from our extensive range. Al’s hobbies include music, in fact he is in a band called ‘The Mighty Black Camel’. He also has a beautiful son with his partner.